The index opened strong around 8831 and went on to make high of 8870, but saw profit booking with each rise to close near the lows of the day at 8809.35, small gain of 3.85 points. The broader market though was negative, with 649 advances to 864 declines. Range as per Option Table stays at 8500-9000. Call option 8900-9300 added huge 26.45 lacs OI with short covering seen at 8700 and lower strike prices. Put option 8900-8700 added huge 15.01 lacs OI with profit booking seen at 8600 and below strike prices. 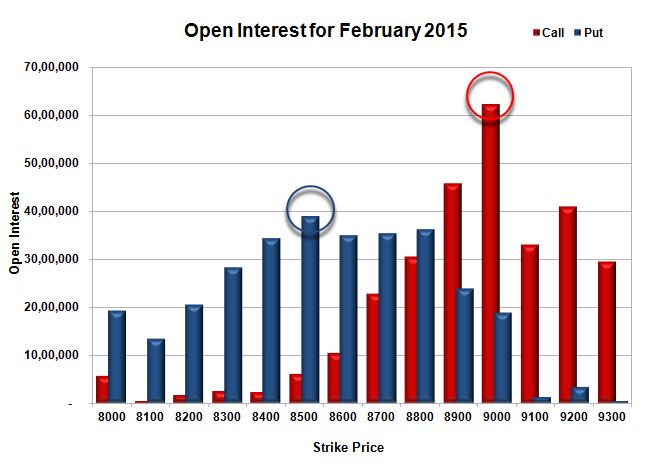 Nifty Open Interest is at 2,60,48,275 up by 2,42,125, with small increase in price, most probably long build-up. 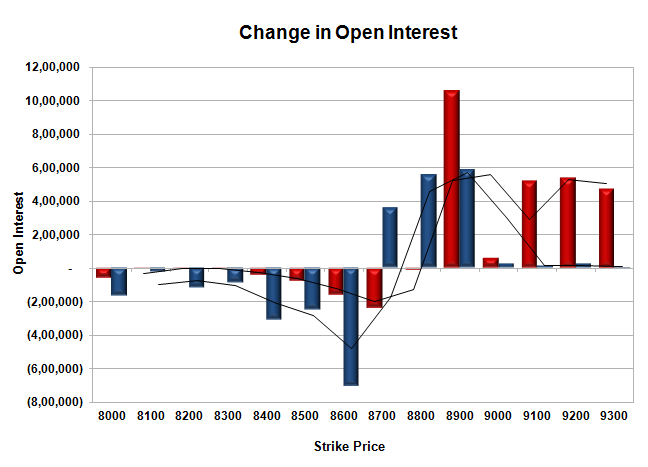 Bank Nifty Open Interest is at 22,15,900 up by 19,275, with decrease in price, most probably short build-up. FII’s bought huge 5.43 lacs Futures, which includes 2228 contracts long build-up and 19504 contracts short covering, with decrease in net OI by 17276 contracts (includes 61326 longs to 39594 shorts for the day) and the Average Price comes to 8871.48. FII’s Index future open contract as on date is 771447 Longs to 118610 Shorts, net long 652837 up by huge 21732 contracts. Initial support still at 8800, with OI of 36.21 lacs and below that at 8700 with OI of 35.31 lacs. Initial resistance at 8900, with OI of 45.72 lacs and above that at 9000 with highest OI of 62.34 lacs. 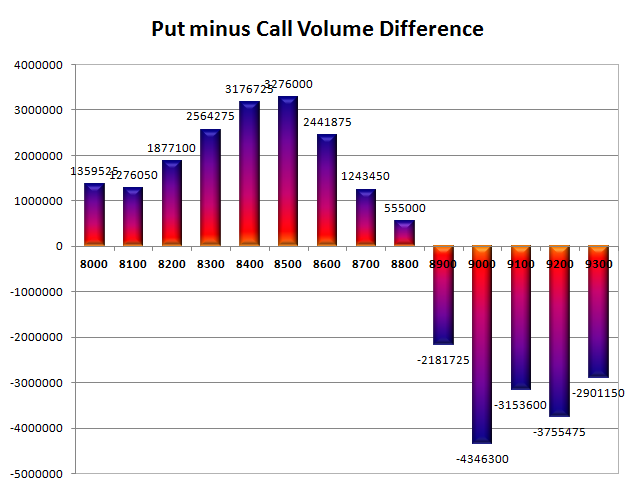 Day Range as per Option Table is 8737 - 8903 and as per VIX is 8713 - 8905 with 8824 as the Pivot.